What Are The Health Benefits Of Peppermint? A study, conducted by Wheeling Jesuit University, has found a link between smelling peppermint with increased alertness, motivation, and even performance. The peppermint is a sterile crossbreed between the watermint (a perennial aquatic plant) and the spearmint (an aromatic garden herb). Peppermints are used for adding flavor or fragrance to foods, cosmetics, soaps, toothpastes, mouthwashes, and other products. This plant is native to Europe and the Middle East, but is now cultivated all over the world. The leaves can be used dried or fresh like in teas. 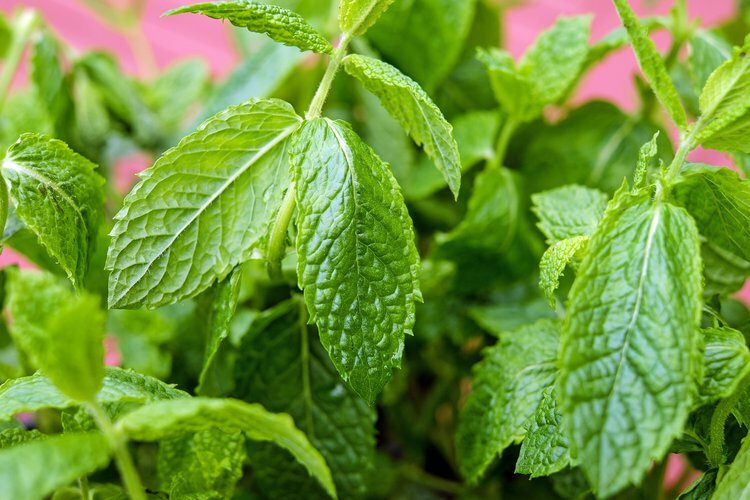 The peppermint has an active constituent in the plant called menthol, which is used for many medicinal purposes. Individuals who are ill with a common cold or influenza can experience the benefits of peppermint, as it acts as a very effective decongestant that shrink swollen membranes in the nose to make it easier to breathe. Menthol can also loosen up mucus build-up from the lungs and help individuals cough. Peppermint can activate ‘anti-pain’ channels in the colon, soothing inflammatory pain in the stomach-intestinal tract. This is the process by which peppermint can bring relief from many stomach, abdomen, and intestinal problems that range from nausea to menstrual cramps. Peppermint oil is also an effective alternative to drugs, like Buscopan, for reducing colonic spasms. It has the potential to relax the muscles of the intestines, allowing gas to pass and easing abdominal pain. Peppermint is related to decreased anxiety. Peppermint is related to decreased tiredness. Peppermint and cinnamon are linked to lowered driving aggravation. Peppermint and cinnamon are related to lowered temporal demand while driving. Peppermint and cinnamon are related to greater driving alertness. Another health benefit of peppermint can be seen for cancer patients, as it contains menthol, which has been suggested to inhibit the growth of prostate cancer. It also contains antioxidants that may protect against DNA mutation and cell death caused by radiation exposure. Some cancer patients with chemotherapy experience nausea and vomiting. Studies have suggested that peppermint helps alleviate these symptoms to some extent. Peppermint can also relieve tension caused by headache pain and have a cooling and energizing sensation that can relieve stress. Blending peppermint oil into massage oil, shampoo, body wash or body lotion can help in cleaning the scalp with a cool and fresh aroma. It has antiseptic and antibacterial properties that can help cool the skin and remove dandruff and lice from the scalp. Also, adding a few tea leaves in hot water with honey to make peppermint tea may have therapeutic results, especially when one is down with a cold or flu. Göbel, H., Fresenius, J., Heinze, A., Dworschak, M., & Soyka, D. (1996). [Effectiveness of Oleum menthae piperitae and paracetamol in therapy of headache of the tension type]. Der Nervenarzt, 67(8), 672-681. Hamoud, R., Sporer, F., Reichling, J., & Wink, M. (2012). Antimicrobial activity of a traditionally used complex essential oil distillate (Olbas< sup>®</sup> Tropfen) in comparison to its individual essential oil ingredients. Phytomedicine,19(11), 969-976. Kenia, P., Houghton, T., & Beardsmore, C. (2008). Does inhaling menthol affect nasal patency or cough?. Pediatric pulmonology, 43(6), 532-537. McKay, D. L., & Blumberg, J. B. (2006). A review of the bioactivity and potential health benefits of peppermint tea (Mentha piperita L.). Phytotherapy Research, 20(8), 619-633. Raudenbush, B., Grayhem, R., Sears, T., & Wilson, I. (2009). Effects of peppermint and cinnamon odor administration on simulated driving alertness, mood and workload. North American Journal of Psychology, 11(2), 245-256. Schmidt, E., Bail, S., Buchbauer, G., Stoilova, I., Atanasova, T., Stoyanova, A., ... & Jirovetz, L. (2009). Chemical composition, olfactory evaluation and antioxidant effects of essential oil from Mentha x piperita. Natural product communications, 4(8), 1107-1112. Tayarani-Najaran, Z., Talasaz-Firoozi, E., Nasiri, R., Jalali, N., & Hassanzadeh, M. K. (2013). Antiemetic activity of volatile oil from Mentha spicata and Mentha× piperita in chemotherapy-induced nausea and vomiting.ecancermedicalscience, 7. Spirling, L. I., & Daniels, I. R. (2001). Botanical perspectives on health peppermint: more than just an after-dinner mint. The journal of the Royal Society for the Promotion of Health, 121(1), 62-63. Logan, A. C., & Beaulne, T. M. (2002). The treatment of small intestinal bacterial overgrowth with enteric-coated peppermint oil: a case report. (Peppermint Oil). Altern Med Rev, 7(5), 410-417. Merat, S., Khalili, S., Mostajabi, P., Ghorbani, A., Ansari, R., & Malekzadeh, R. (2010). The effect of enteric-coated, delayed-release peppermint oil on irritable bowel syndrome. Digestive diseases and sciences, 55(5), 1385-1390. Papathanasopoulos, A., Rotondo, A., Janssen, P., Boesmans, W., Farre, R., Vanden Berghe, P., & Tack, J. (2013). Effect of acute peppermint oil administration on gastric sensorimotor function and nutrient tolerance in health. Neurogastroenterology & Motility, 25(4), e263-e271. Herro, E., & Jacob, S. E. (2010). Mentha piperita (peppermint). Dermatitis,21(6), 327-329. Davies, S. J., Harding, L. M., & Baranowski, A. P. (2002). A novel treatment of postherpetic neuralgia using peppermint oil. The Clinical journal of pain,18(3), 200-202.